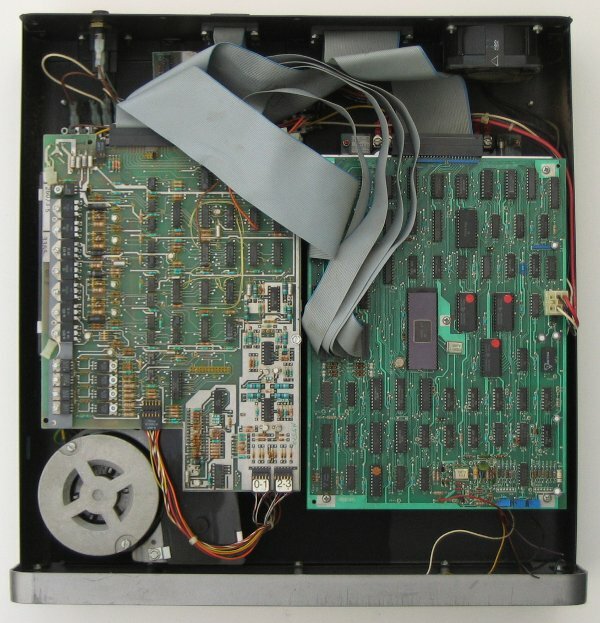 The EIGHT MEG DISK SYSTEM was the first harddisk Tandy released for the Model II line of computers. This page collects the issues I have restoring this part to working order. The first thing to restore are the front panel controls. The disk station is in relative good order, but the front panel controls are missing. The labeling of the connectors is a bit confusing. "CONTROL A" is for the cable to the Model II, "CONTROL B" is for the other three external disks. Each of those is also connected with one of the "DATA" connectors. The disk is not only 8 MByte, but also 8" wide. It is below the board at the left side. 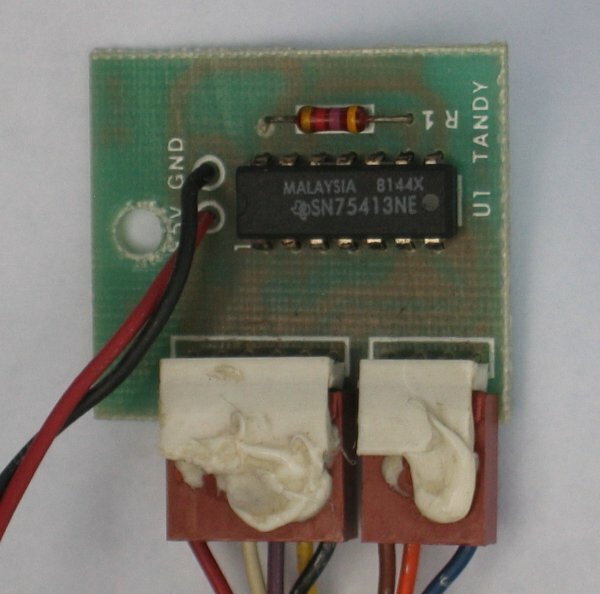 On the right is the controller board, made by Tandy. Below this is the power supply. The disk is a Shugart Associates 1004. The controller used the Signetics 8x300 controller, which implemented in software the core functionality of what later became the WD1010 controller. The already existing WD1000 chipset was used for the MFM encode, decode, write precomp, etc. (Thanks to Eric Smith at the cctech mailing list). The bus between the Model II and the controller is a custom variant of the WD1002 bus. Apart from rewiring, it contained an extra address bit register for the Write Protect logic. 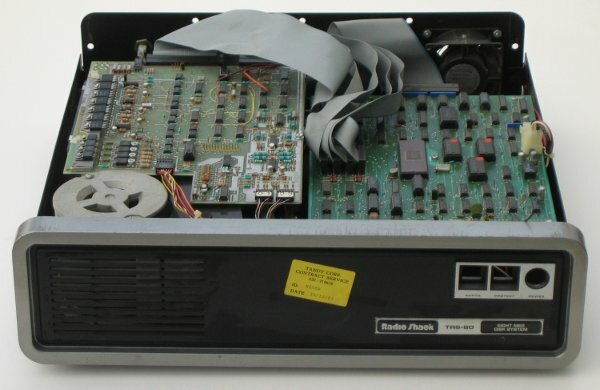 The later Radio Shack harddisk controllers had a Model III compatible bus. This lacked the CS signal and added an EXTIOSEL signal to switch databus buffer direction. The board has two functions: create a Drive Select indicator and add a Write Protect feature to a hard disk. As the indicator is an incandescent lamp a driver is needed to interface the TTL logic levels. The Write Protect feature is a Tandy addition to the standard hard disk interface. The signals are connected to some test points on the diskdrive board. The driver board is reverse engineered at the left. With some help from the kind people at the cctech mailing list, I got data sheet for the SN75413NE (Texas Instruments) and completed the diagram for this specific disk system (#1). Other info comes from the ASCII diagram on the Frank Durda IV harddisk page.